Occasionally at work, we have to deal with people who are thoroughly evil... just mean-spirited individuals who like to exercise their sadistic muscle. Also at work, there are people who are downright annoying... irritating gnats that we must endure in our quest to Carpe Factum. Then there are the people who fall into the "Satan's Chihuahua" category... that scary cross-section of both evil and annoying. On a past project (a long time ago in a galaxy far, far away), we dealt with an administrative assistant who exerted way too much power. She worked for a weak executive who was overextended and distracted... paving the way for her to get away with her behaviors. She would block critical meetings with the executive (overruling his own directives) just because she didn't like the people who were attempting to schedule the meetings. She would also park herself at various project resources' cubicles... just to make small talk. Hints to go away usually went unheeded. If she did get the hint, the person then went on her "bad list." She was just an unpleasant person to handle, and the feedback from the project team was beginning to elevate. There's safety in numbers - a group of us on the project management team met with the executive and objectively listed the behaviors we were observing and how they were impacting the project team. He had deflected individual feedback on her behavior, but when faced with multiple people at once, he could not ignore it. We left the meeting with action items that he needed to address with this person. Set boundaries - all of us had to set boundaries in our interactions with this person... with respect to schedule, authority, responsibilities, and communication. She had to know the scope of what she could and could not get away with. Be clear - annoying people have a tendency to miss the point. "Do you understand?" is a good question for follow up. Ensure that this person is accountable for directions, facts, and issues. Thinking in terms of Murphy's Law, consider all of the things that can possibly go wrong and mitigate the communication proactively. Provide objective feedback - keep emotion out of it when things get off course. Focus only on observable behaviors and statements that are irrefutable. These are easier said than done when dealing with Satan's Chihuahua. People who annoy others with a mean-spirited nature can be very challenging and very political. We tend to forgive people's short-comings if they are nice or if they are competent. If both are lacking, the patience level drops. Take a deep breath, look at the bigger picture, and work to improve the situation. What are your thoughts? How would YOU handle Satan's Chihuahua? Your post was great too, EM. There are a few people now that I'm going to have to "CARP" on when the need arises. Awesome title Tim! And the article provides some excellent insights into how to deal with those fun folks that just won't get it! Well done! Wonderful anecdote! I ran into her twin sister in my very last job. Before Satan's chihuahua showed up we had an administrative assistant who was practically a project manager in terms of capability and we treated her royally. She even got a trip to England with the project team because of her contributions. Of course, in time, some other division made her an offer she couldn't refuse. That's when we realized how weak our manager was. 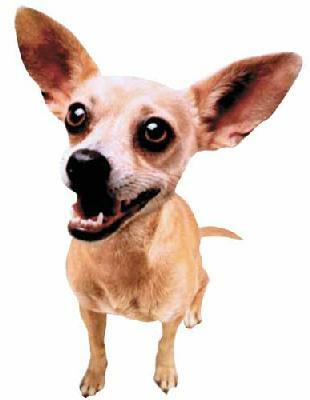 Satan's Chihuahua arrived and spent her days preening and fawning on the manager. We mere project managers were ignored and the support we once enjoyed was gone forever. Queries to the manager were shrugged off and once Satan's Chihuahua realized she was invulnerable, she made no pretense of paying attention to anyone except her manager and the higher ups. She was such an obstacle that I can't figure out why I left her out of my book on surviving corporate life. She and others like her would have filled an entire chapter. I completely agree with you - leave emotions out - and I'm saying this especially to the female gender (I am one myself - and know how challenging it is) - but it is a must. Oh my, I have never actually thought of these individuals as "Satan's Chihuahuas," but I thoroughly understand the concept behind this idea. Your suggestions for dealing with these difficult co-workers are right on track; they're both logical and effective! Lucia - your passion with which you handle the human race is great - never give up that fire! Satan's Chihuahua? But they are Soooo cute! But you sure make them look nasty with those big teeth. Hey, grab a copy of topgrading, and dump the losers like the secretary you describe so clearly. We need to dump the evil ones that waste our time at the office, and topgrading is the best I see for weeding them out. Tim - another great addition to my work vocabulary. Thank you for "Satan's Chihuahua". I recognize the type ... and it's a perfect term. You're right; "... Beagle" doesn't quite cut it. A strategy I've found useful: the strategic #fail. Because these people often also have an over-inflated sense of their own capabilities - call their bluff. Assign them a task that you know they will screw up - just make sure that it's not a mission-critical task - and then announce in a team meeting that you're "rewarding" this person with an important task. Then - when they (inevitably) fail - you've made a very significant point. And cut them down to size without seeming vindictive. You've exposed that "the emperor has no clothes".